ZYDO earrings from the Luminal Collection. 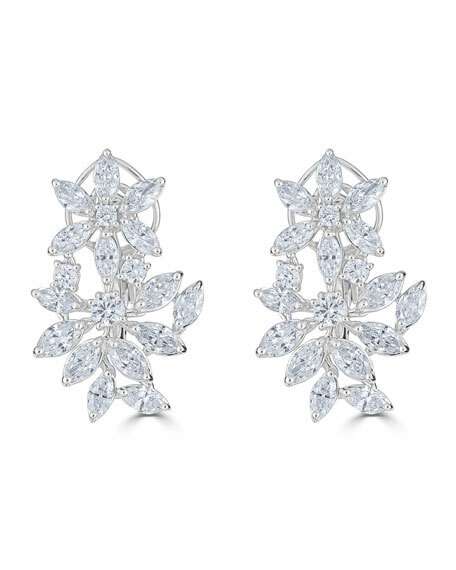 Prong-set diamonds form floral hoop. Round diamond centers with petals. 4.95 total diamond carat weight. Omega backs for pierced ears.